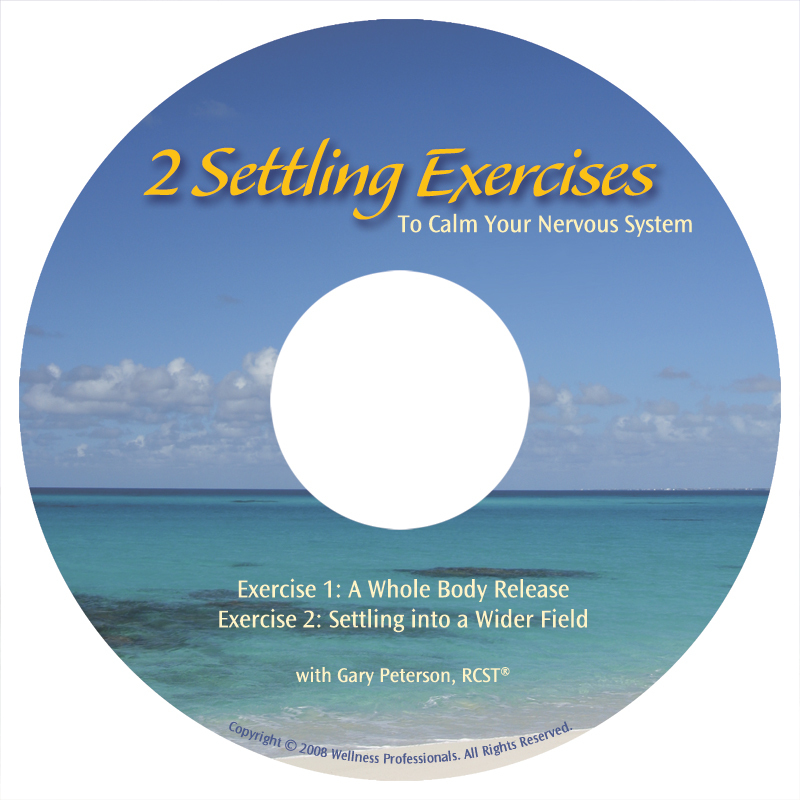 2 Settling Exercises is an instructional CD that gives you 2 step-by-step sequences for settling your nervous system. The first exercise – A WholeBody Release – teaches you how to track subtle sensations throughout your body and helps you to release tension from the bottom of your feet to the top of your head. The second exercise – Settling into a Wider Field – teaches you how to find space and relaxation within yourself by learning how to shift your perceptual awareness.